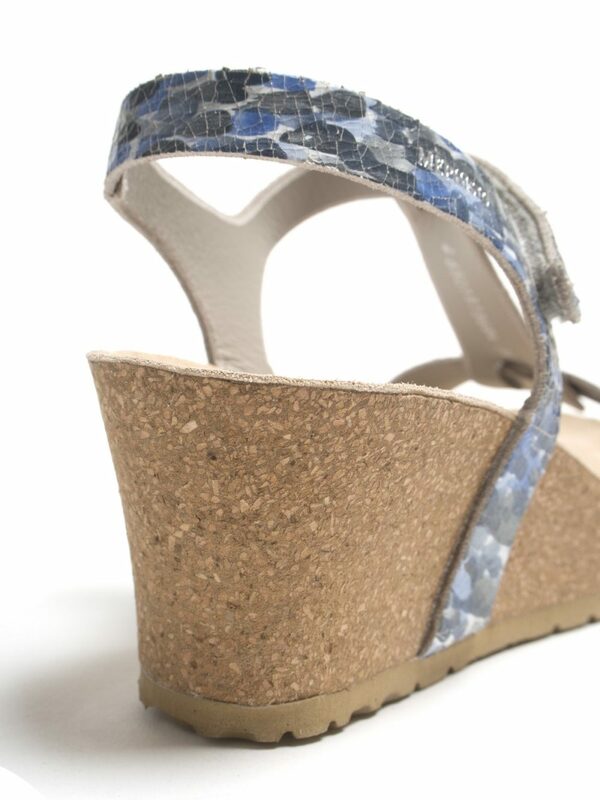 Beautiful summer sandal with a built in soft air technology and blue mosaic pattern. 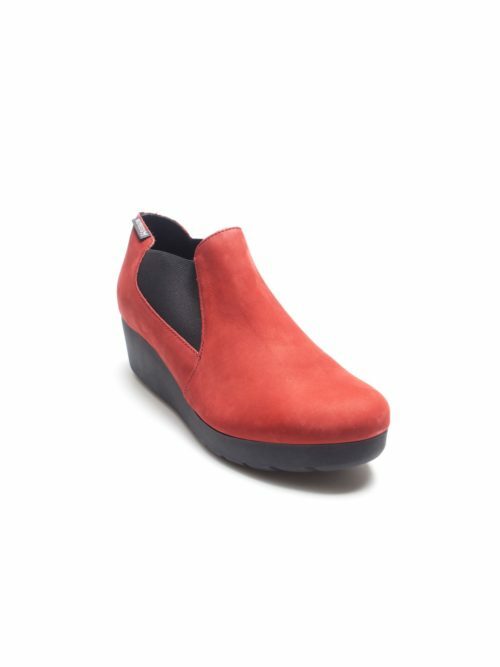 This gorgeous summer wedge sandal from Mephisto has inbuilt soft-air technology making it wonderfully comfortable to walk in. 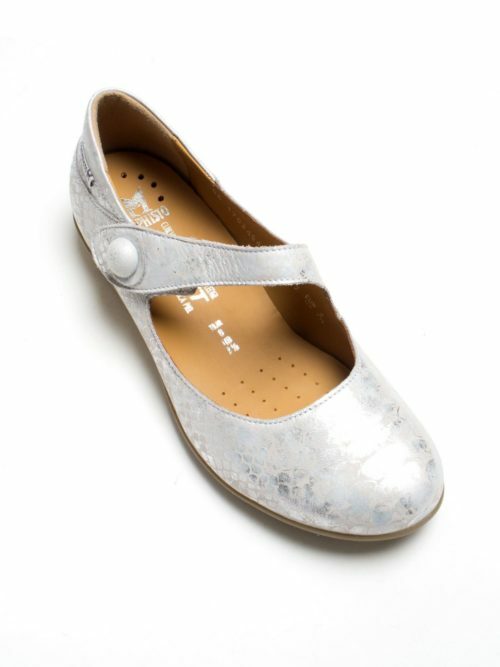 the strappy leather upper has a pretty blue, grey & white mosaic pattern and the wedge sole is a soft light brown colour with a subtle cork effect. 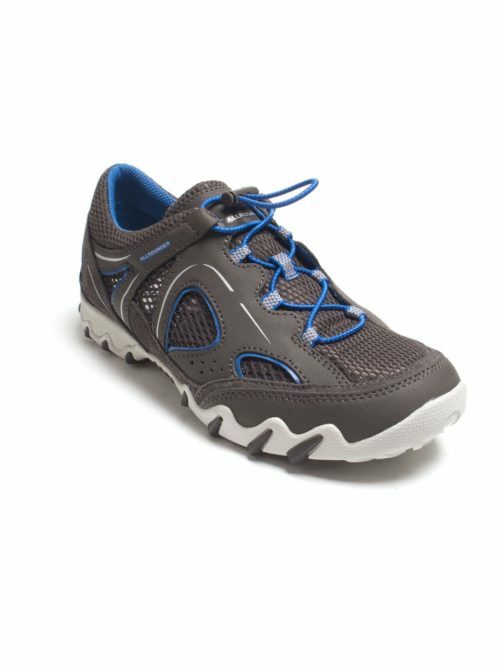 It has an easy to fasten velcro strap which can be adjusted to ensure a perfect fit.